It’s your typical trip home from the library on an October night, it’s nearly 1:30 a.m. when you throw on your backpack and head out into the frigid fall weather. You know you have to make sure to always walk in well-lit, well-populated areas while simultaneously watching for any movements in the shadows. During this short 15 to 20 minute walk home you notice everything in your path — the homeless men asking for change, the screaming girls who’ve clearly had too much to drink and the men who leer at both them, and you, as you pass by. By now you’ve been told enough times that as a woman you can’t walk alone at night and you can’t even do something as simple as listening to music because that makes you easy prey for predators. As you power-walk your way home, maybe pretending to talk to someone on the phone, you can’t help but feel an icy cold chill run down your spine anytime a man so much as looks at you, or you hear a sound as small as a twig snap behind you. Honestly, you just can’t wait until you are home so you can let your guard down. Now let’s put a male college student in the same situation. Seems kind of crazy right? I mean why would anyone want to analyze a 20-something-year-old man doing something as simple as walking home after studying at the library? But that’s exactly the problem. So now that you’re a man, you pack up all your stuff, plug in your earbuds and play some jam upbeat enough to keep you awake until you reach home. You trudge along Langdon or State streets fantasizing about your nice, fluffy bed awaiting you at home and how happy you are to be done studying. You get so wrapped up in your thoughts that before you know it, you’re home. You promptly drop your backpack somewhere, kick off your shoes and pass out. These situations started exactly the same — simply a college student packing up after a long night of studying and heading home to get some rest. But after that, they couldn’t diverge more. As a man, you aren’t forced to constantly observe your surroundings, just waiting for some sort of monster to jump out and attack you. Men have the privilege of simply tuning out their surroundings, letting off steam as they rock out to their favorite song. Women, on the other hand, have long been taught what to do — or not do — to protect themselves from the unwanted advances of men. Don’t wear anything too revealing — you’re asking for it. Don’t drink too much — after that, it’s your own fault if anything happens. Don’t do this. Don’t say that. 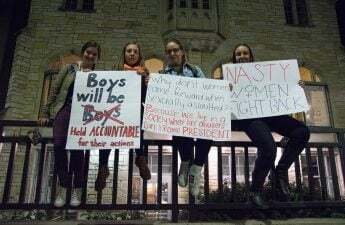 But isn’t it time that we start holding the men involved accountable and start teaching them that this isn’t simply a women’s issue, but a societal one? Sexual assault is a problem that has long been associated with college campuses all throughout the U.S. While this topic has recently been getting more and more attention on the national stage it is important to bring the subject straight to the ones most involved — college students. And there is hope. For example, We’re Better Than That – Men Against Sexual Assault is doing exactly that. 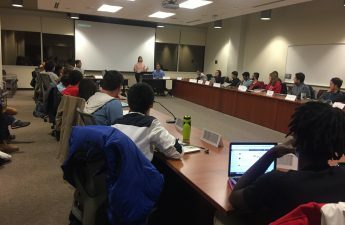 This organization was founded in August 2015 by a group of male University of Wisconsin students who felt this issue needed more men involved in the conversation. WBTT strives to educate students at UW on sexual assault from the very start of their journey here. The organization has three teams that target three communities — incoming students, student-athletes and Greeks — to try and raise awareness of the prevalence of sexual assault and provide education on how to help prevent it from happening. 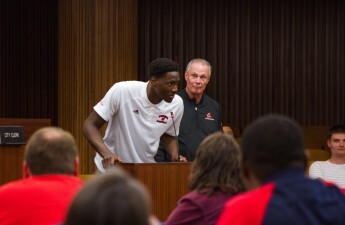 By organizing interactive meetings, dialogues and panel discussions for these new students, athletes and Greek members — both fraternity men and sorority women — WBTT has helped educate thousands of students. 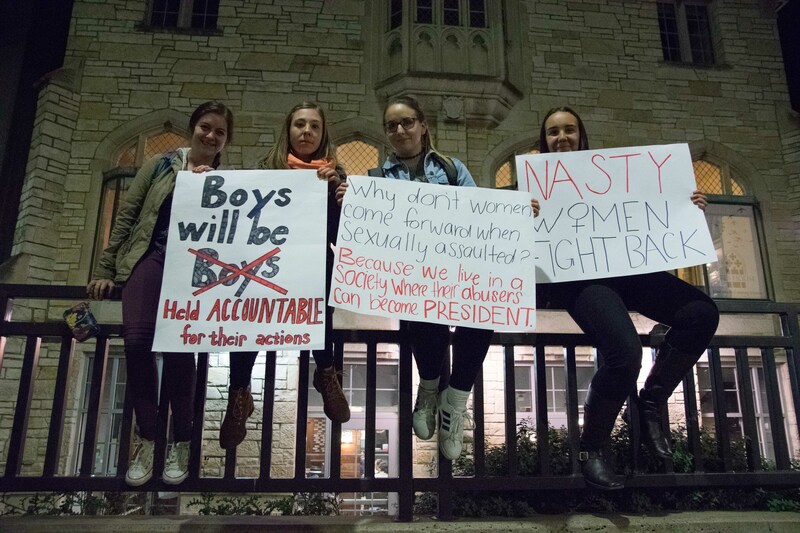 Additionally, more than one in four women (27.6 percent) who are undergraduates at UW will be sexually assaulted, according to a 2015 survey conducted by the Association of American Universities. 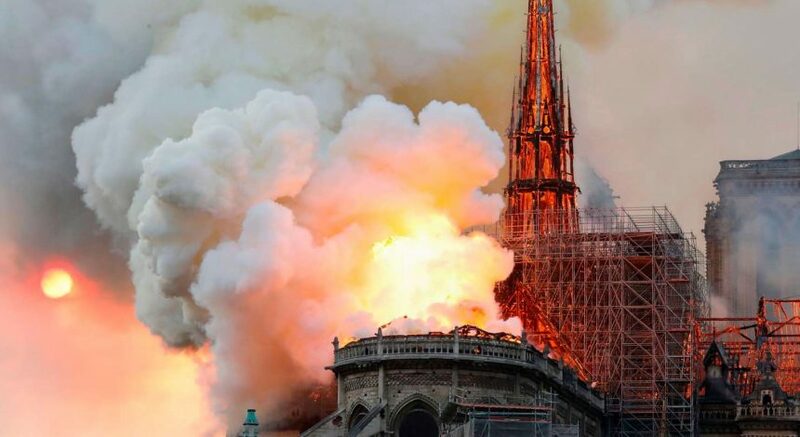 The AAU further elaborates that more than three-fourths of UW participants in this study stated the perpetrator had been drinking alcohol prior to the attack. 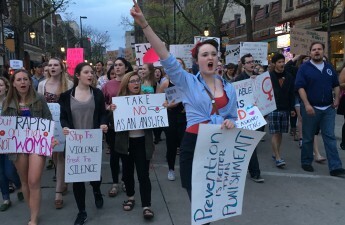 Moreover, the study also showed sexual assault incidents involving UW students were nearly 10 percent more likely to involve alcohol than the survey’s national average. The thought that 27.6 percent of UW female undergraduates can expect to be sexually assaulted during their time on campus makes my stomach drop, and makes me want to take action and inspire others to do the same. While the media seems to report mostly on female sexual assault victims, students of all races, genders and sexual orientations are victims as well. This is why WBTT is such a crucial movement — it shifts the conversation from mainly talking about attacks involved with white female victims and male offenders to including all races, genders and sexual orientations. I believe someday I won’t be scared walking home alone from the library, fearing that someone could jump out of the shadows and attack me. But to achieve a future like this, we must all come together and change the conversation on sexual assault. Simply put, we’re better than that. Jenna Webster ([email protected]) is a sophomore majoring in journalism and political science.